October 30th Elysium Steampunk Ball Costume Contest Prizes! 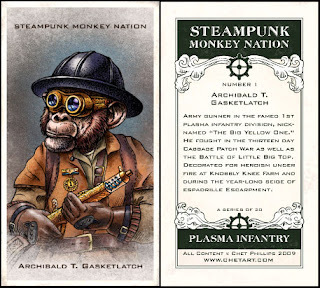 artists' shops for more of their amazing steampunk works! Chetart.com is donating quite a stash of pieces from his awesome Steampunk Monkey Nation Collection. Parkers and Quinn are donating some phenomenal leather goggles and hair clips. Faire Treasures is donating a great strand of steamy pirate hair beads. 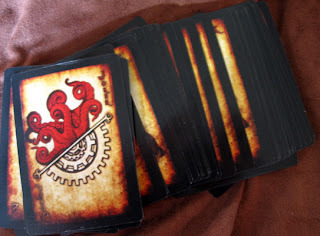 Tormented Artifacts is donating one of their famed steampunk card decks. TaDa Boutique is donating a great steamy embroidered pouch. 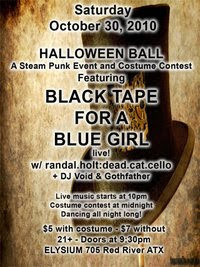 Secret Oktober will be donating a gift certificate! 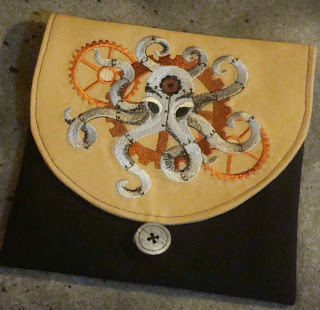 Go spend it on the awesome steampunk gear they carry by local artists! Rhapsodical Hats will also be donating an awesome hat and a tiny hat as well. 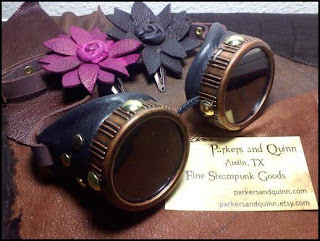 Christenia & Co. is donating a mystery steampunk piece. There are more prizes as well! A more complete list will be posted as the date draws closer! 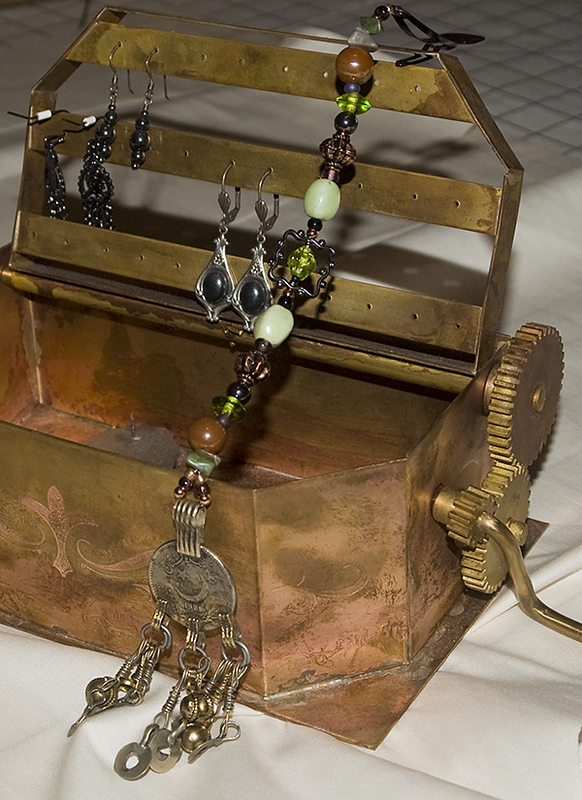 Turner's Tokens will be donating the treasure boxes and a few of my pieces as well.